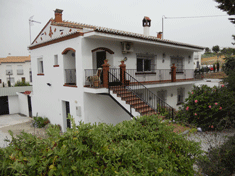 The nearest town is Alora, the capital of the fertile Rio Guadalhorce Valley with some 16,000 residents. Alora’s Moorish look has been reduced by the rising of taller buildings, but there are still remains of the Moors’ fortress. The town has the distinction that its 17th century church is the largest in Malaga provence after the City’s Cathedral. Malaga’s version of flamenco, Las Malaguenas, originated in Alora and the town hosts a Flemenco festival in June. 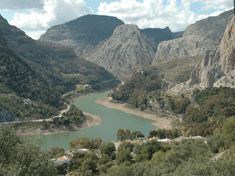 Alora is the gateway to the spectacular Garganta Del Chorro Gorge. It is also the gateway to Malaga’s Lakeland, via the villages of Caratraca, where there is a sulpher spa and Ardeles, still very Moorish in its layout. Site-seeing, however, is only one of the many reasons that people travel to Alora, so we have listed below, many of the sports and pastimes that are popular in the area.